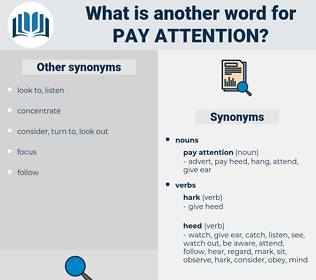 What is another word for pay attention? 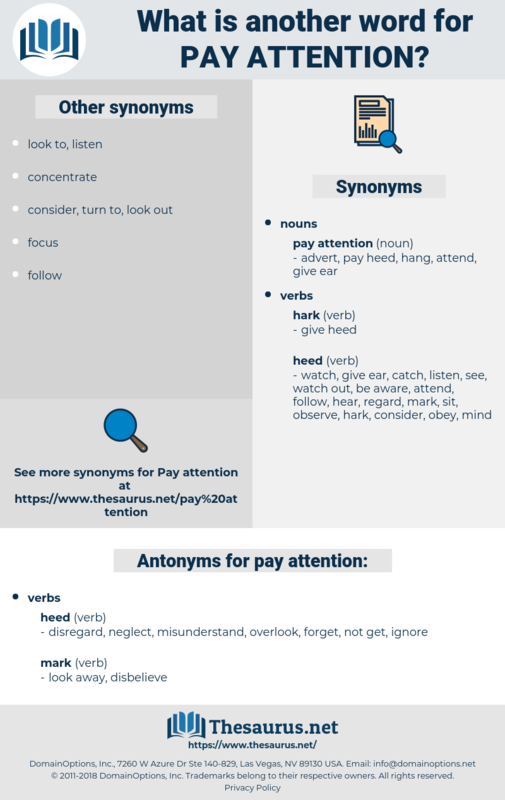 disregard, neglect, misunderstand, overlook, forget, not get, ignore. discontinue, run away, retreat, shun, eschew, stop, give up. hurt, pass by, harm, avoid.